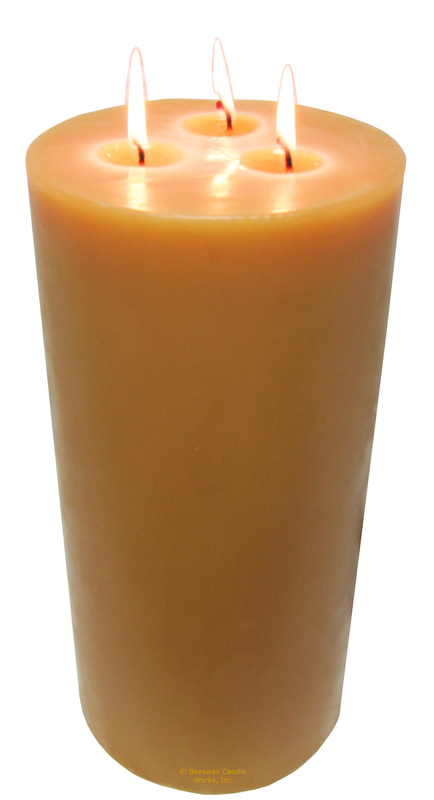 Burn all three wicks at one time on these pure natural beeswax candles. 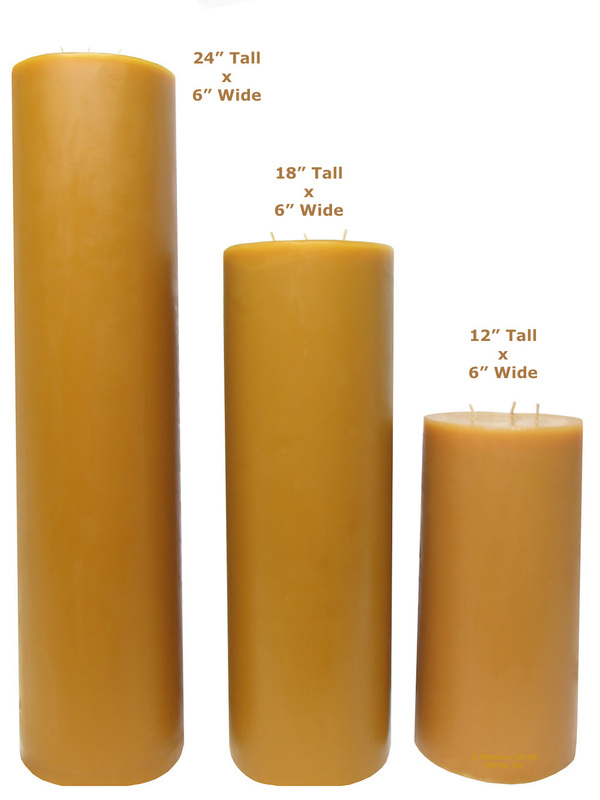 Our six inch diameter beeswax pillars are made to order, so please allow extra time for your order. 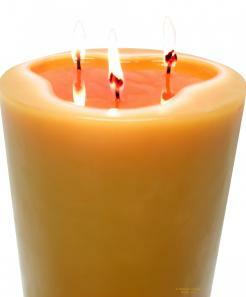 Contact us at orders@beeswaxcandleworks.com for an estimated delivery time. These extra wide natural pillars will be shipped UPS Ground. Please note that our extra large pillars are hand poured and there may be slight flaws in these beautiful pillars. The color is a deep amber honey color.